MainAll NewsMiddle EastNo Coordination with Assad, Says State Dept. No Coordination with Assad, Says State Dept. State Department spokeswoman Jen Psaki says her country isn't coordinating airstrikes against ISIS in Syria. The United States denied on Tuesday that it was coordinating air strikes with the Syrian regime against Islamic terrorists, renewing its insistence that President Bashar Al-Assad must step down, AFP reported. 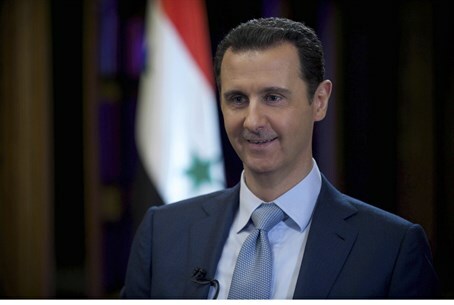 The comments were made in response to remarks made by Assad in an interview with the BBC, in which he claimed Damascus was being informed about the United States-led coalition airstrikes against the Islamic State (ISIS) group through messages conveyed via a third party. Assad said the communication was through third parties, including neighboring Iraq, where Washington and Western allies are also carrying out strikes against ISIS. State Department spokeswoman Jen Psaki had a different account of what happened. "We did not request the regime's permission. We did not coordinate our actions with the Syrian government," stressed Psaki. "We did not provide advance notifications to the Syrians at a military level, nor give any indication of our timing on specific targets," she added. Washington had also warned Damascus "not to engage U.S. aircraft", said Psaki, who refused to lay out any conversations with the Iraqi government and said the United States did not pass on its plans every time, although she dodged a question about whether Damascus had only been informed once, in September. Washington’s position remains that "Assad has lost all legitimacy and must go .. There cannot be a stable inclusive Syria under Assad's leadership," Psaki stressed. In the same interview, "he denied the use of barrel bombs, chlorine and also the indiscriminate killing of his own people," Psaki pointed out. The Pentagon reaffirmed Psaki’s comments later on Tuesday. "We're not communicating or coordinating our military operations with the Assad regime. We're not doing it directly. We're not doing it indirectly," Pentagon spokesman Rear Admiral John Kirby told reporters, according to AFP. Earlier Tuesday, the British government responded to Assad’s interview as well and branded the Syrian leader "deluded". British Foreign Secretary Philip Hammond rejected any form of dialogue with Damascus and said Assad's denial of the use of barrel bombs showed he was either "deluded or lying". "There can be no doubt that he is the problem, not part of the solution," Hammond said in a statement. "The UK's position has not changed, we have no dialogue with Assad; there must be a political transition to a future in which Assad has no part," he added.